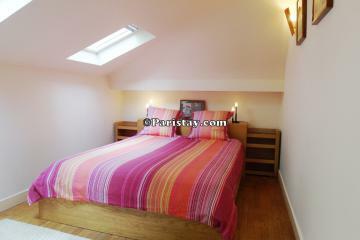 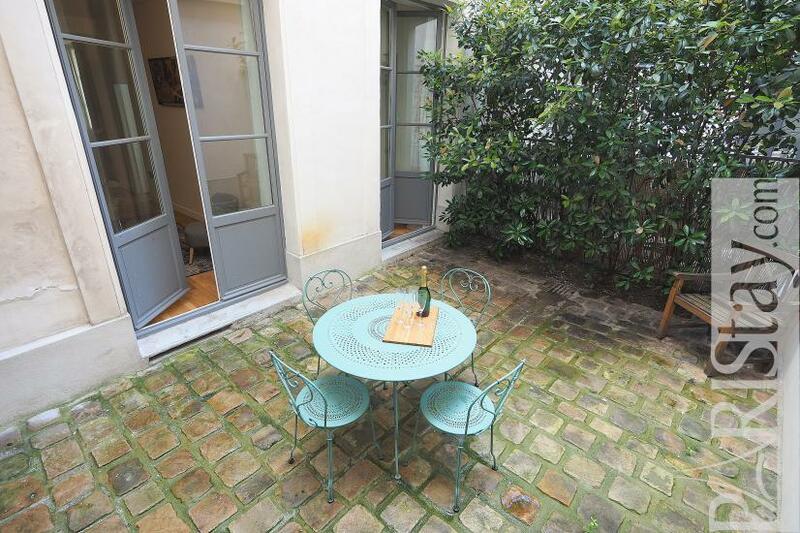 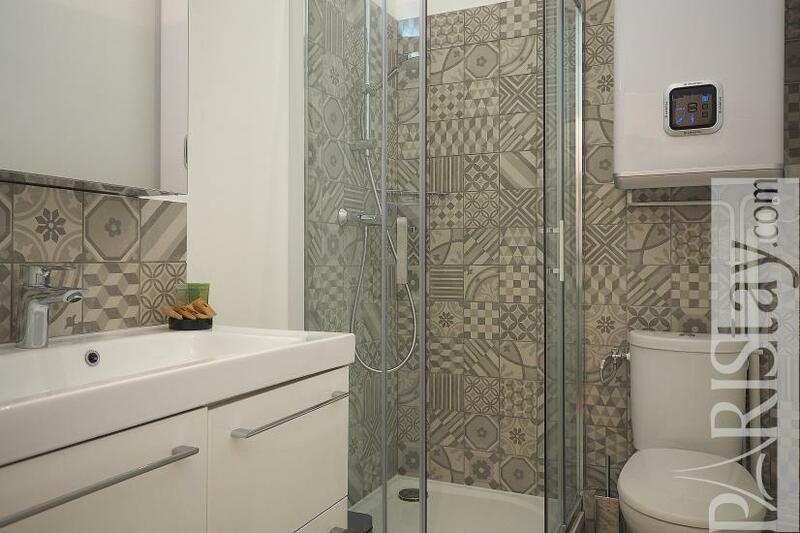 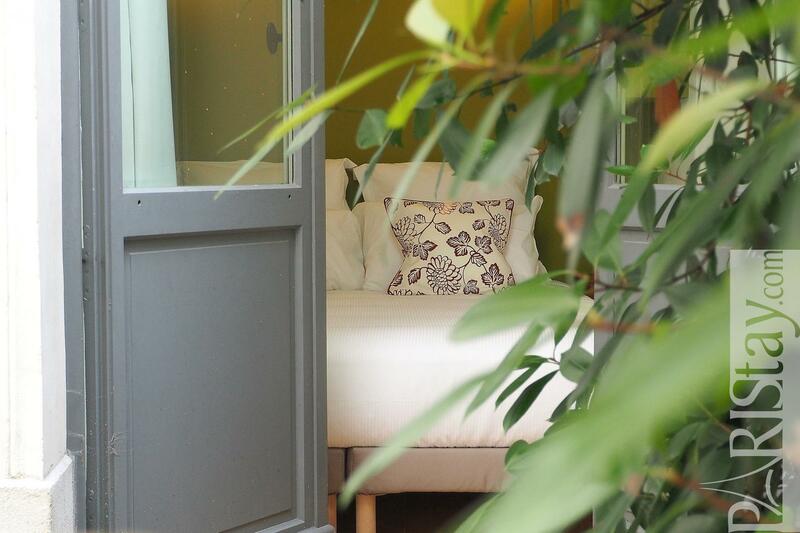 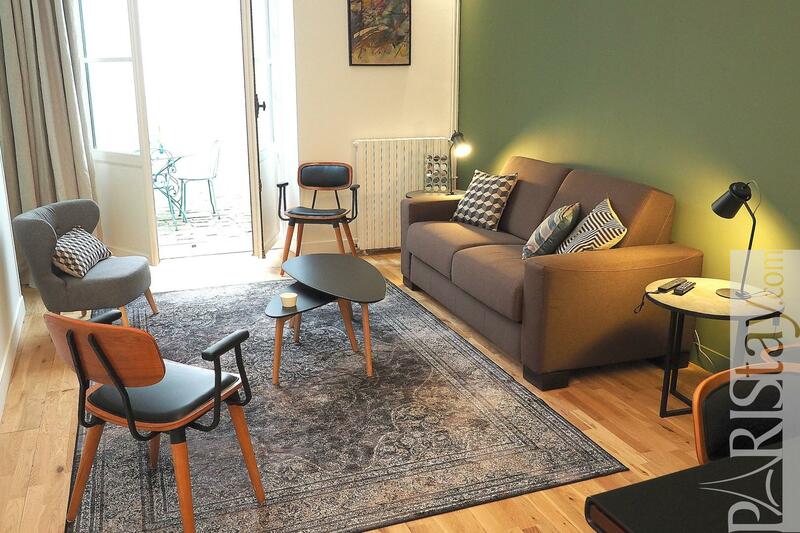 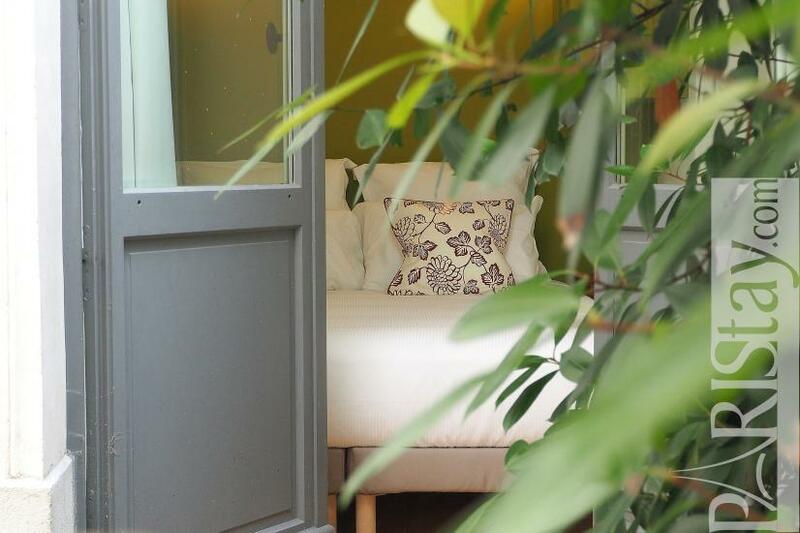 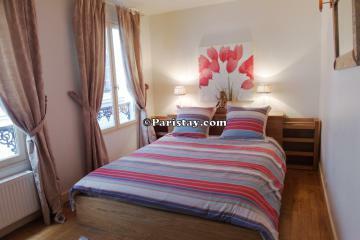 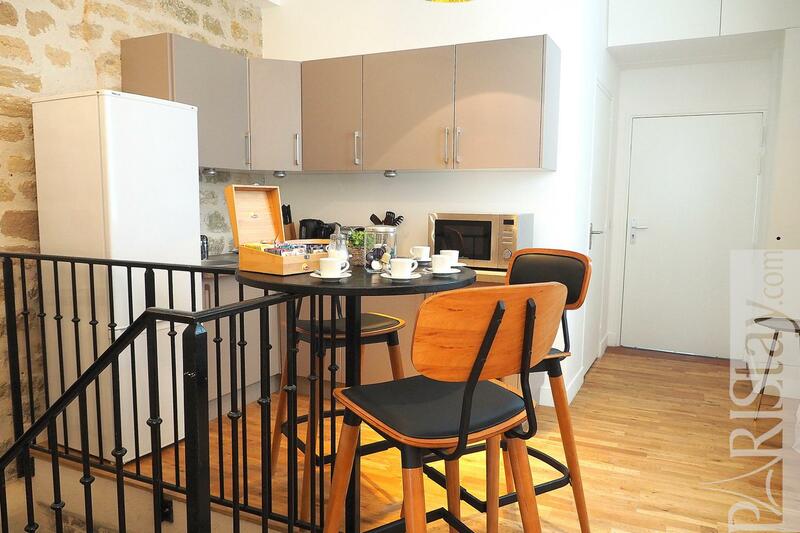 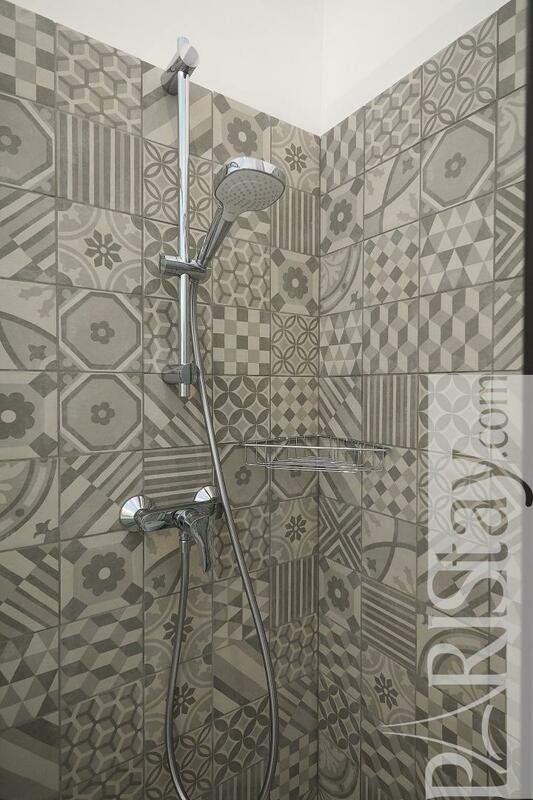 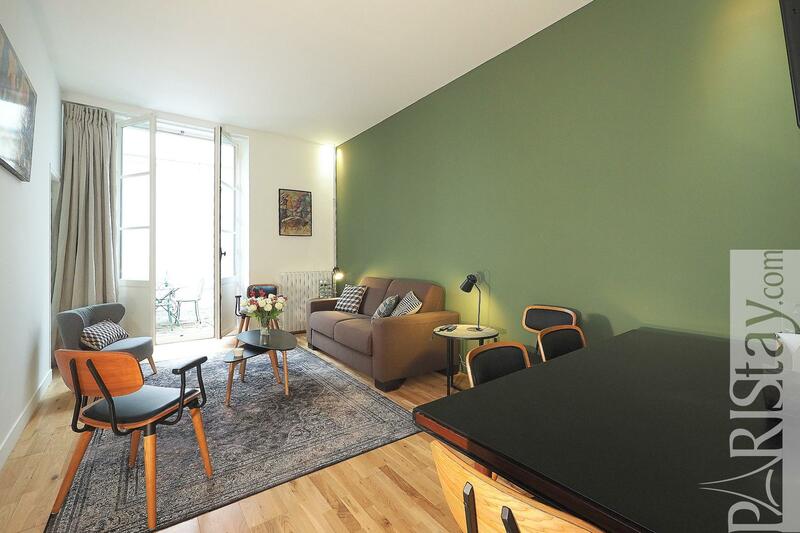 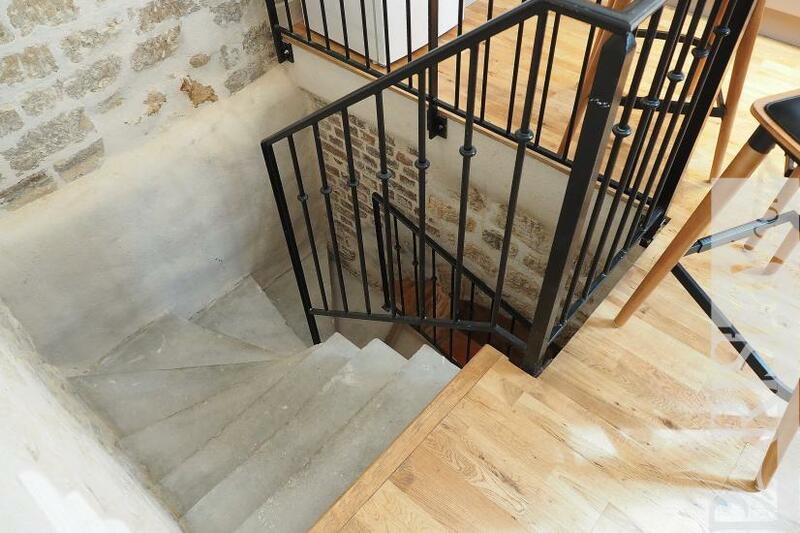 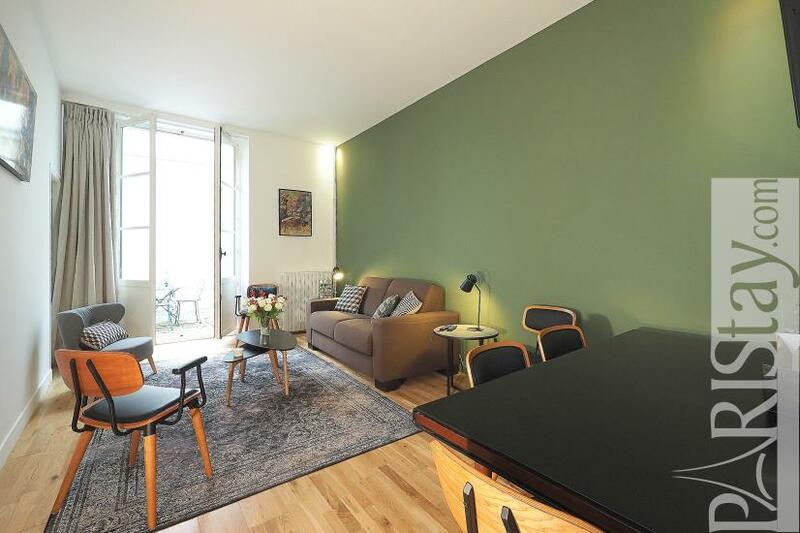 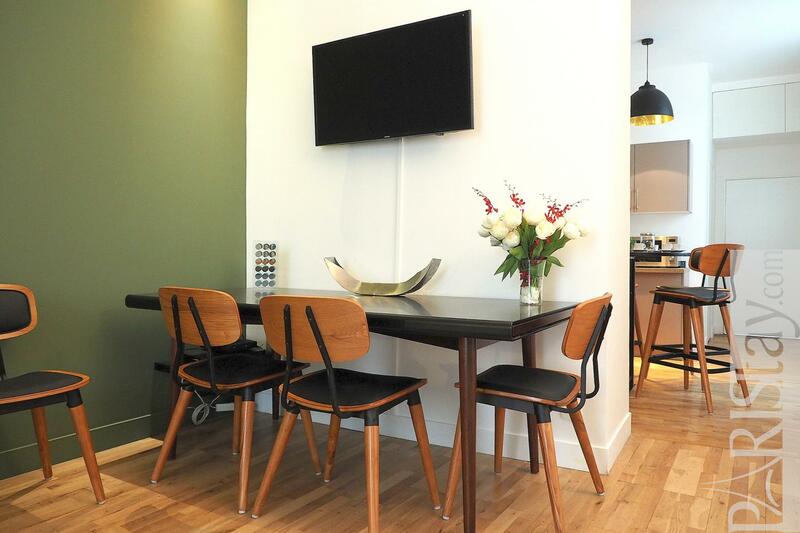 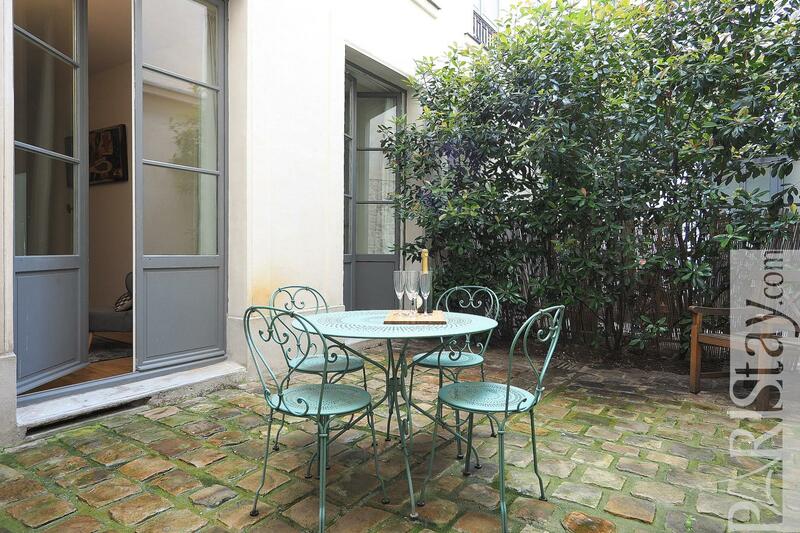 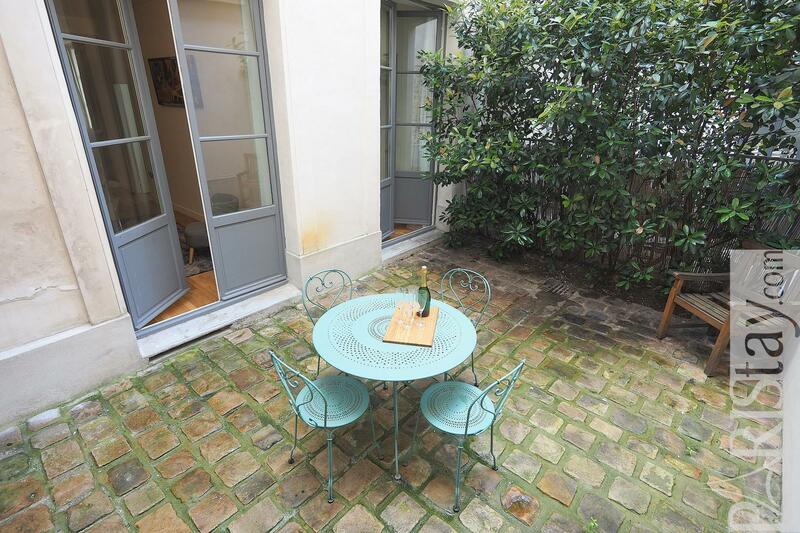 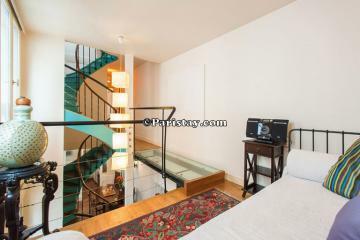 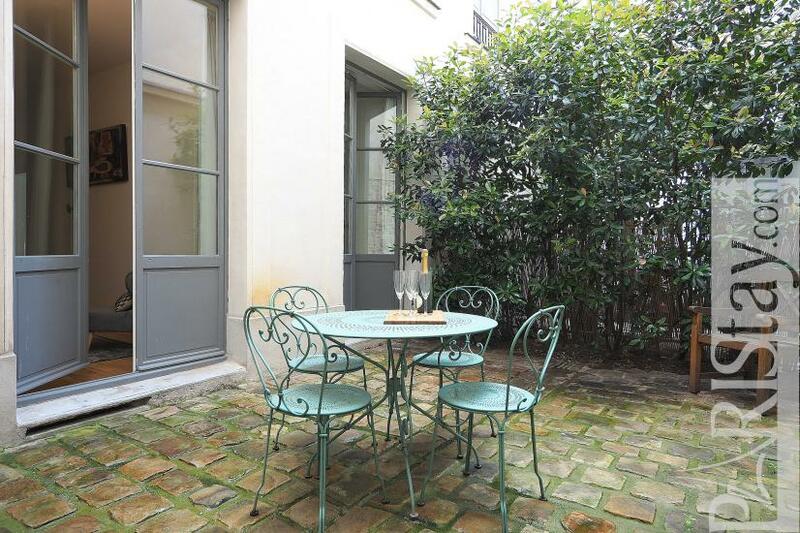 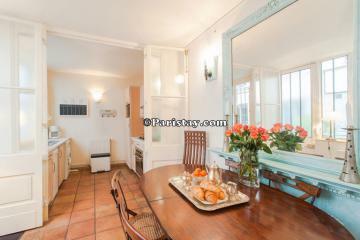 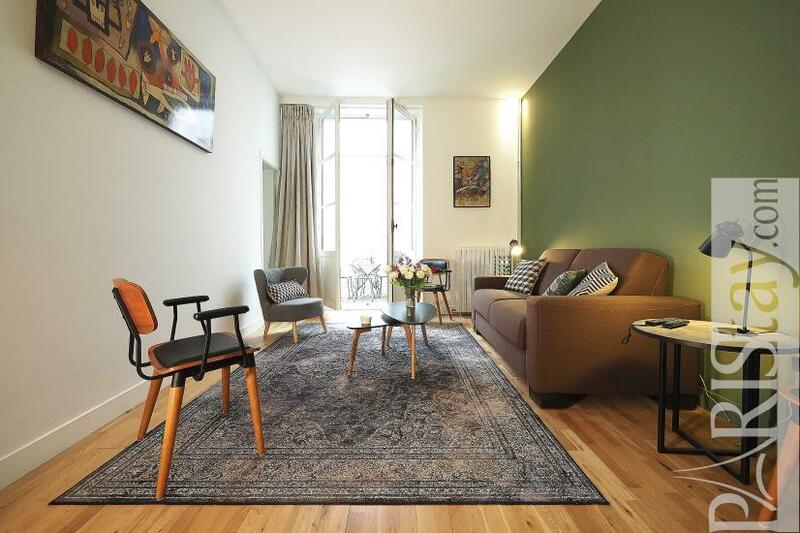 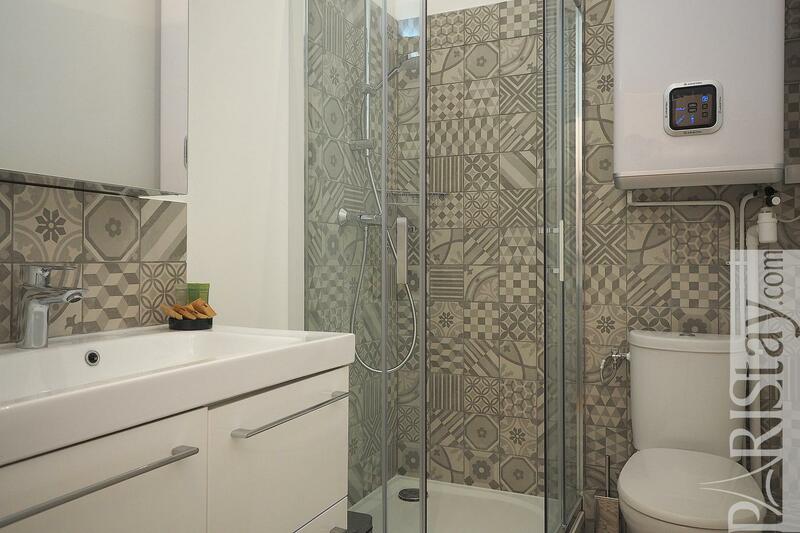 Duplex 3 bedroom apartment with terrasse for rent in Paris located in the beautiful Le Marais district. 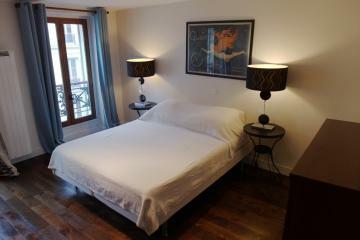 Enjoy having everything needed for a long stay rental in Paris : a central situation, various easy ways to walk everywhere and anywhere in town, a 5 mn walk from main historical and cultural spots (Picasso museum, Carnavalet museum, Place des Vosges), fashion flagships, trendy bars and restaurants, typical french food shops -even a daily open air market (Marché aux Enfants Rouges)... 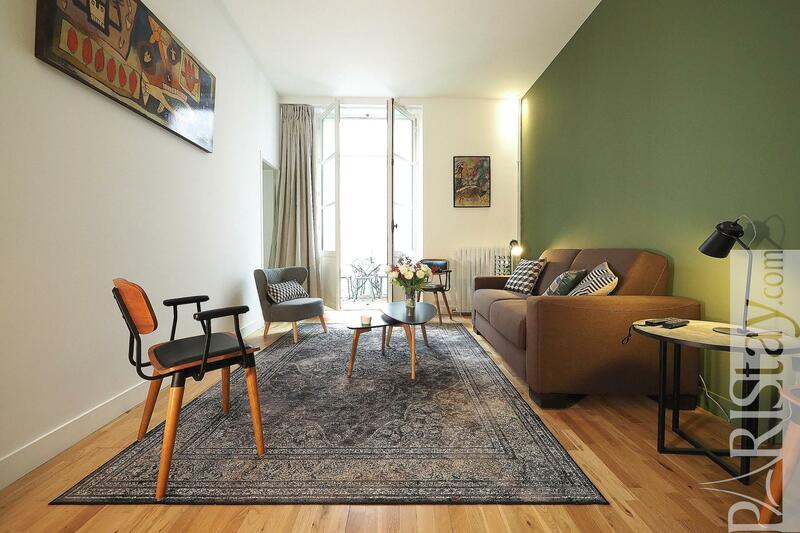 This family apartment is situated in a quiet street, on the groudfloor of a historical building. 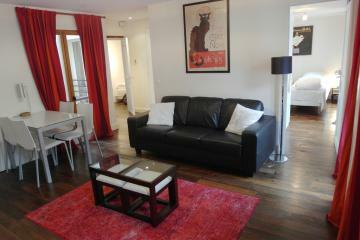 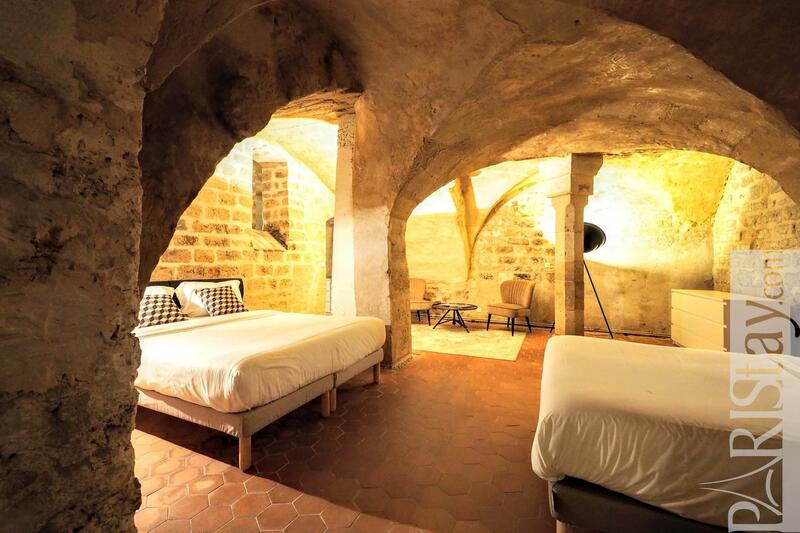 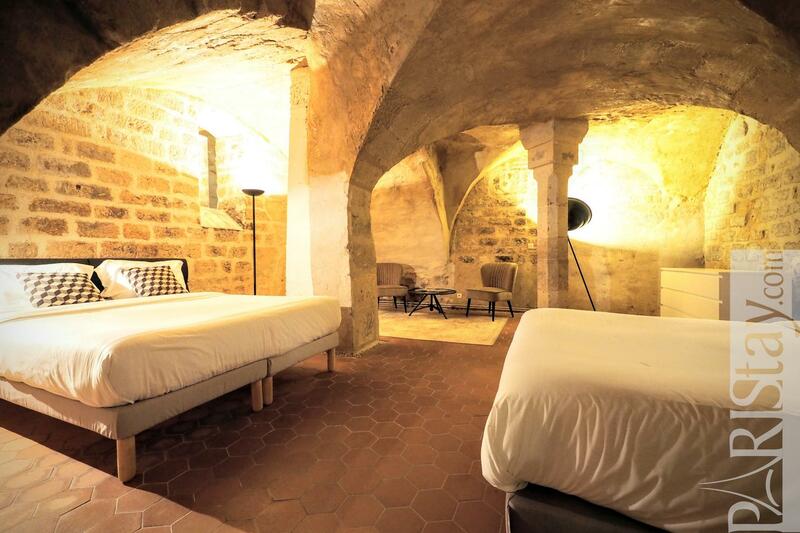 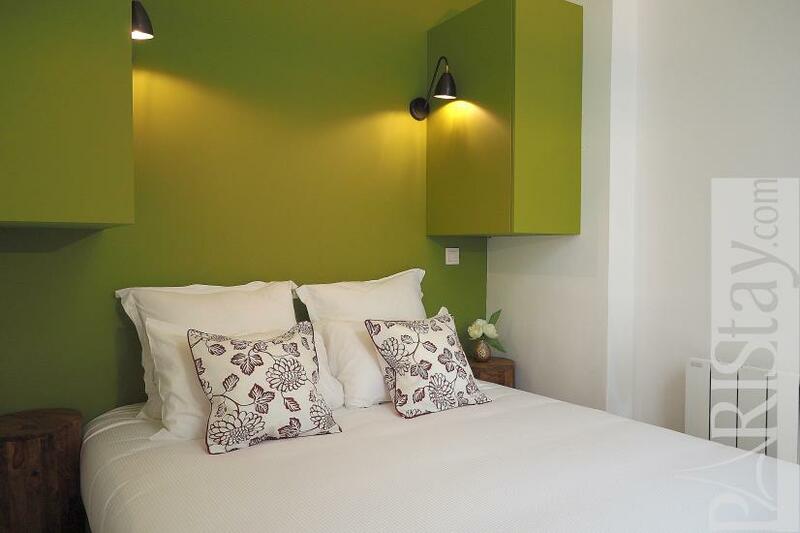 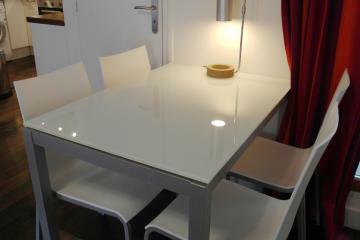 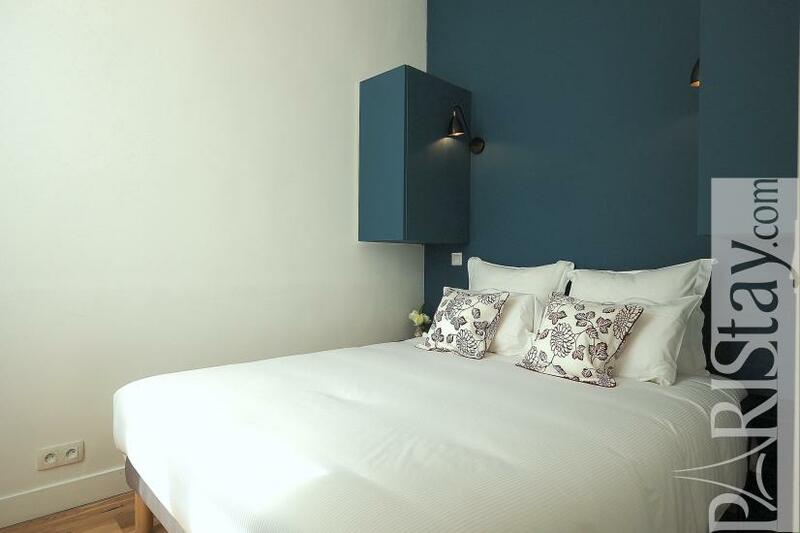 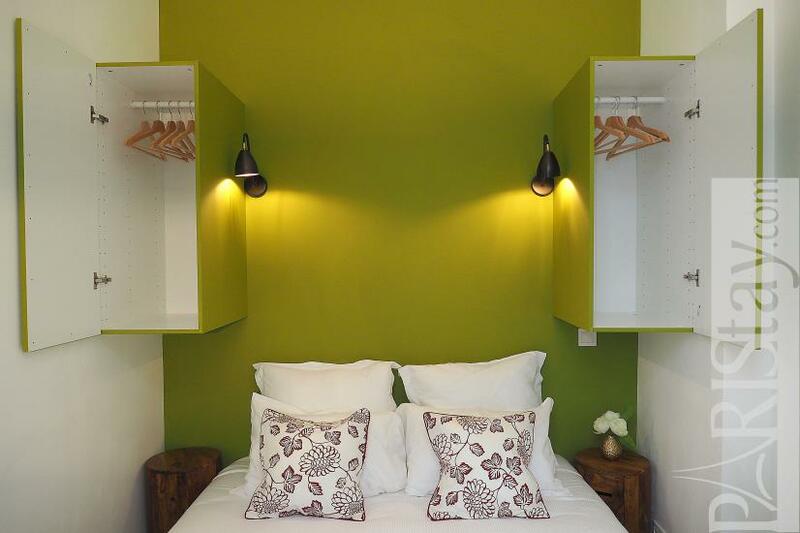 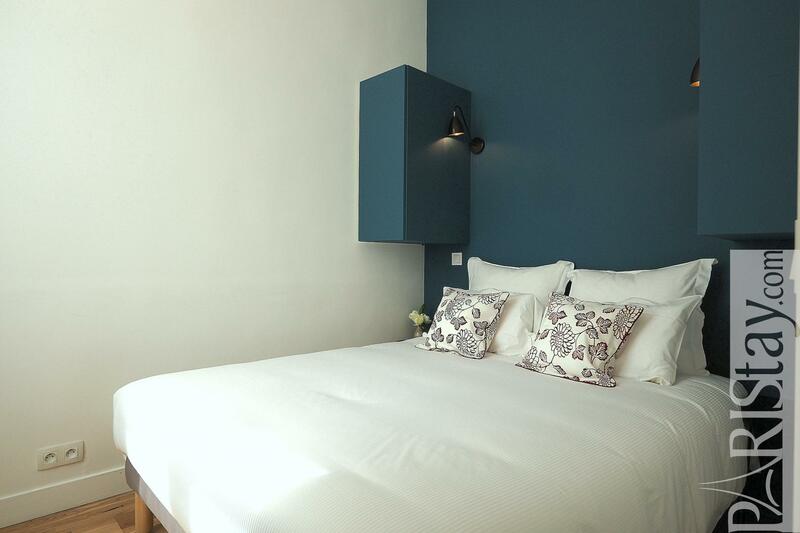 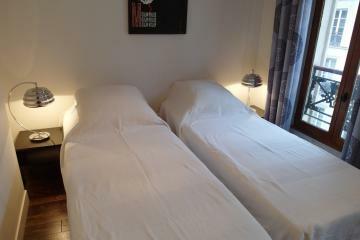 It has been renovated and tastefully decorated in a contemporary spirit with quality equipement and furniture. 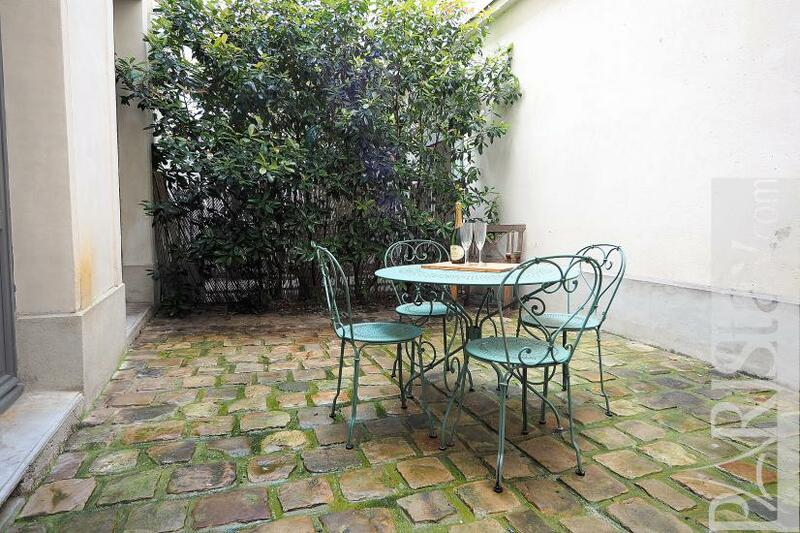 It offers a spacious living room open onto a large terrace, and 2 bedrooms with a double bed. 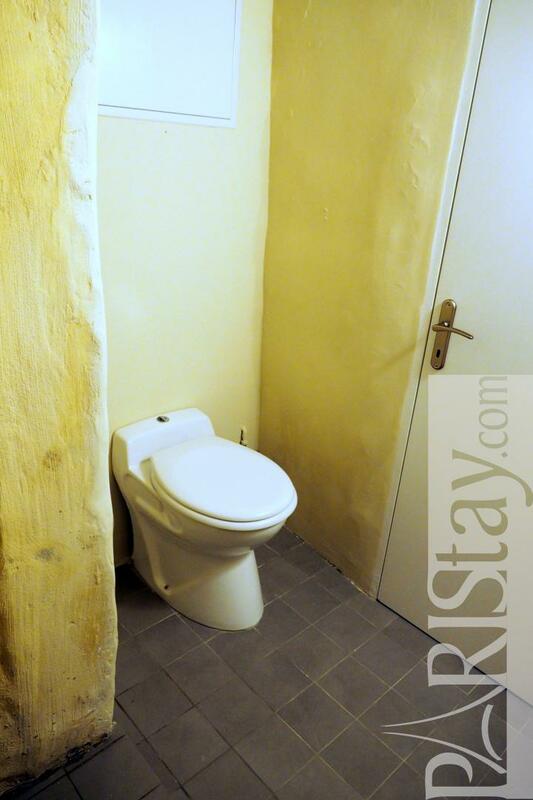 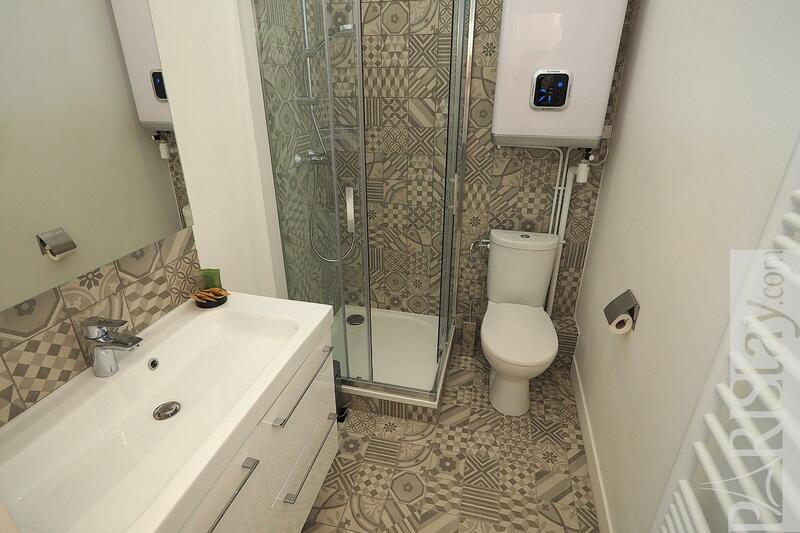 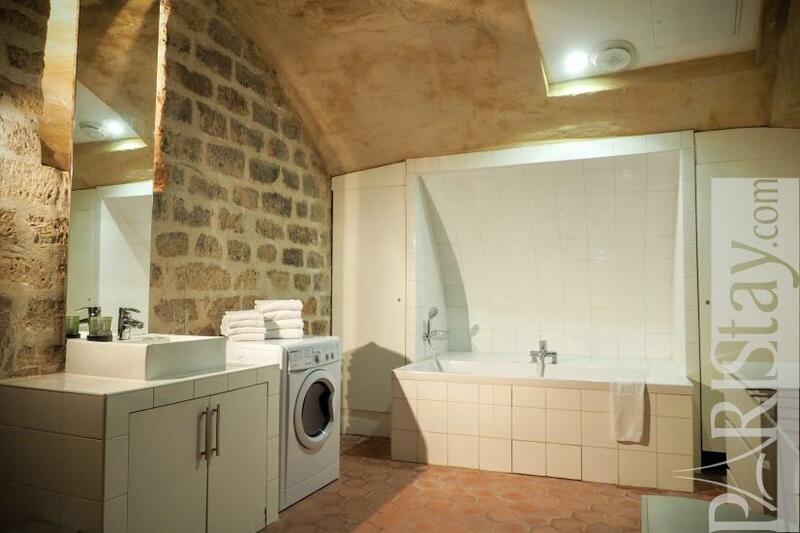 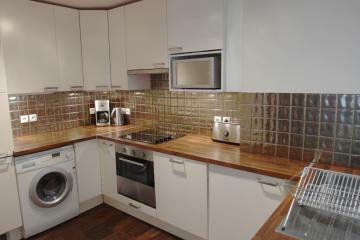 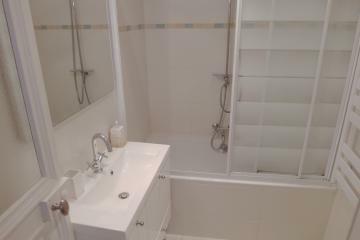 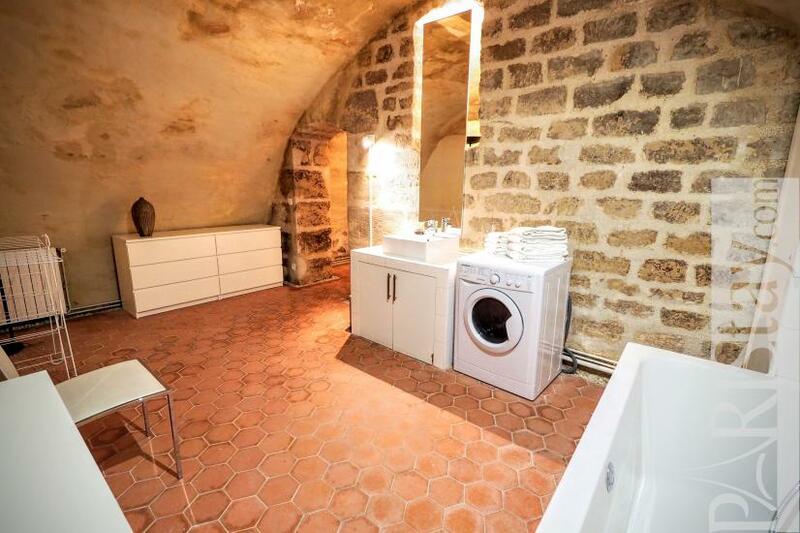 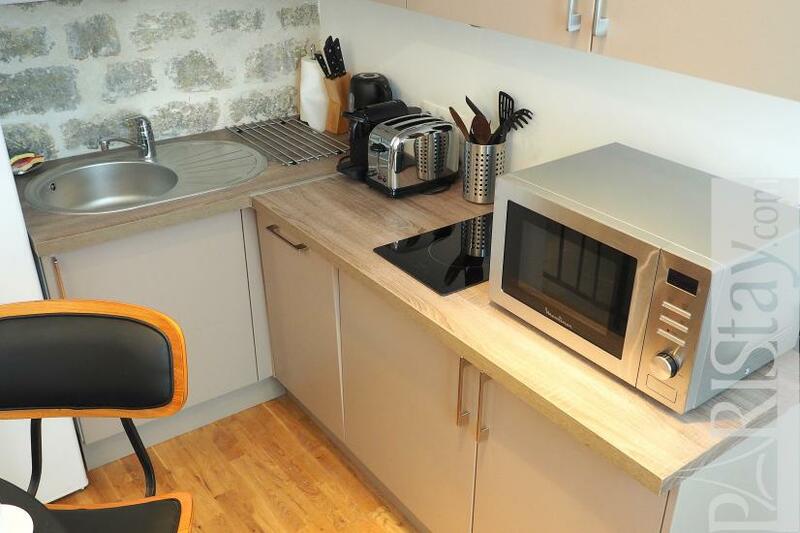 There is a fully equipped kitchen, a shower room with toilet. 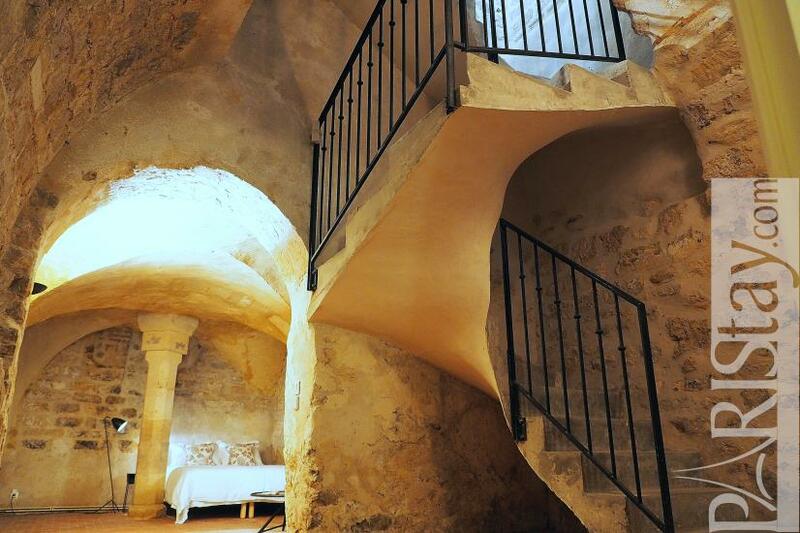 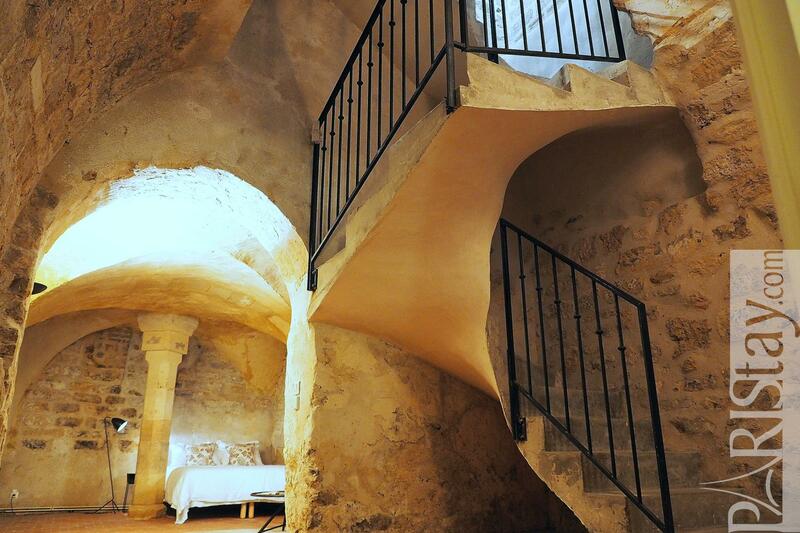 Last but not least, a staircase leads to an astonishing vouted room that can also be a family room. Here is a spacious family room with a double bed, and a large bathroom with a bath tub. 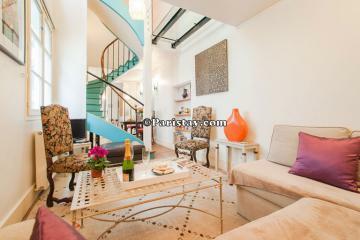 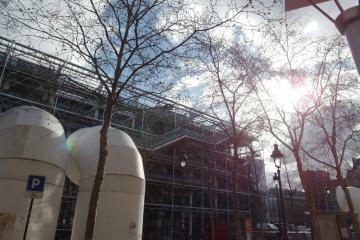 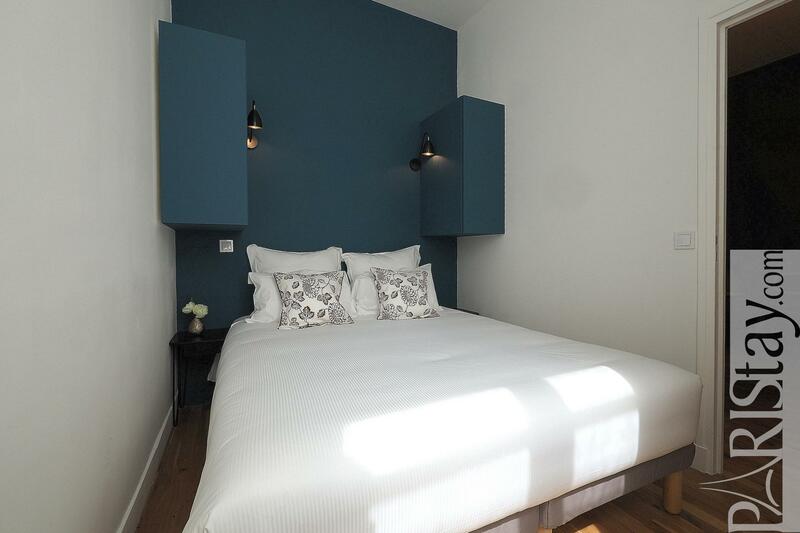 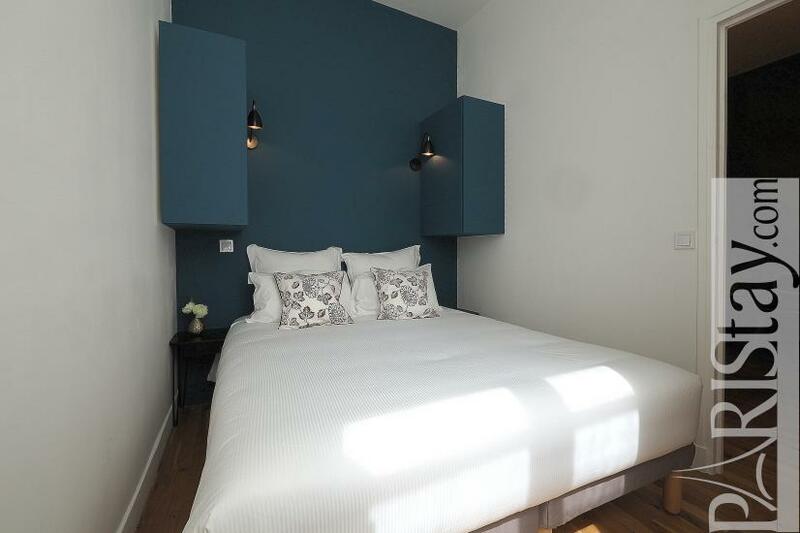 Unique in the heart of Le Marais! 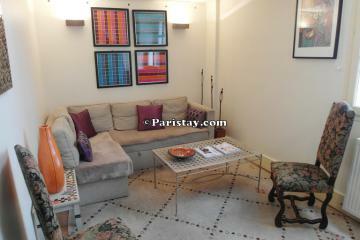 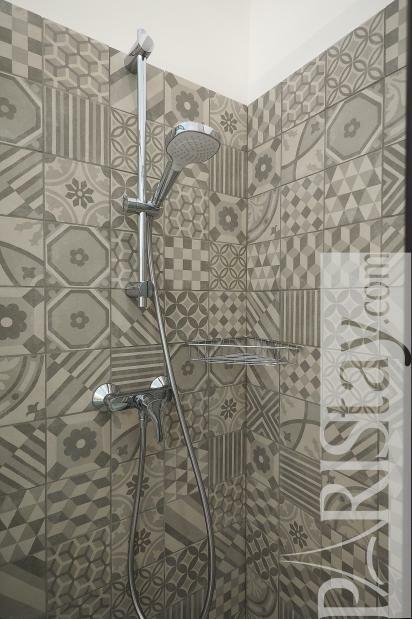 ground floor, without Lift, entry code security system, 3 bedrooms , furnished, Approx: 110m² / 1183 Sq.Ft.